The 2014 edition of the “red dot award: product design 2014” once again saw GROHE prove its prowess as a leading manufacturer of design faucets and water fittings. Apart from picking up awards for its Thermostat Grohtherm 2000, its GROHE Rainshower® Flower Collection and its Eurodisc Joy line of faucets, GROHE also won the "red dot: Best of the Best" award for its Minta Touch kitchen faucet. This marked the fifth time in seven years that GROHE was able to secure what is arguably the design community's most coveted accolade. Its elegant silhouette has already made this kitchen faucet a design classic, which continues to win favour among discerning consumers worldwide. Created in the GROHE Design Studio and now incorporating the innovative EasyTouch technology, GROHE Minta Touch is not only an eye-catcher but also scores big points in terms of engineering. 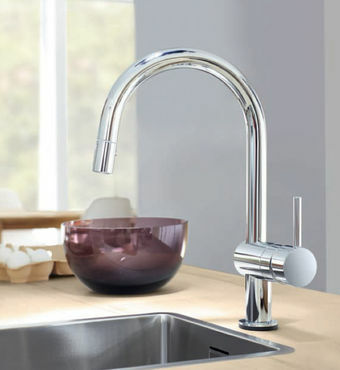 Specifically, Minta Touch is a hybrid faucet offering two modes of operation. In addition to conventional lever operation, the flow of water can be triggered by skin contact with any part of the spout. This means whenever the fingers are dirty from preparing food, a simply touch with the back of the hand or the lower arm will start the flow of cool and cleansing water. By developing this unique touch sensor technology, GROHE has reinvented the kitchen faucet and repositioned it as a modern product that is fit for the 21st century. Minta Touch faced some tough competition in this year’s “red dot award: product design”. A panel of 40 judges scrutinised and tested a total of 4,815 entries submitted by 1,816 manufacturers, designers and architects from 53 countries. 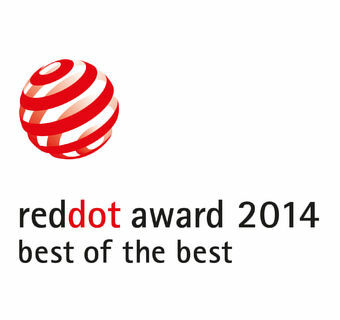 The awards were presented at the red dot gala event held in the Aalto Theater in Essen, Germany, on July 7.